A beautifully quirky Dotty Sheep design that is sure to add character to your kitchen. 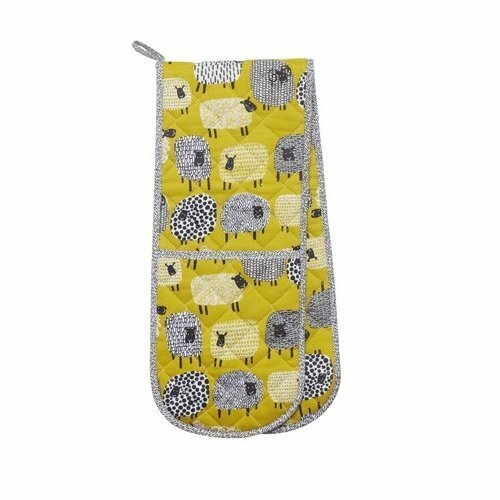 Fun and playful sheep illustrations on a mustard background, this double glove will keep your hands protected from hot plates and tray in the kitchen but have you looking stylish at the same time. Made from 100% cotton with polywadding filling for protection.